Featuring D'Agostino's iconic singer Angel Vargas. 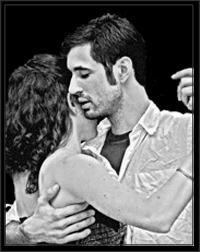 a quote by D'Agostino: "I am milonguero (fond of dancing), I always was, in the best sense of the word. So I shaped my orchestras with two conceptions that I never gave up: respect for the melodic line and rhythmic emphasis to make the dancing easier."